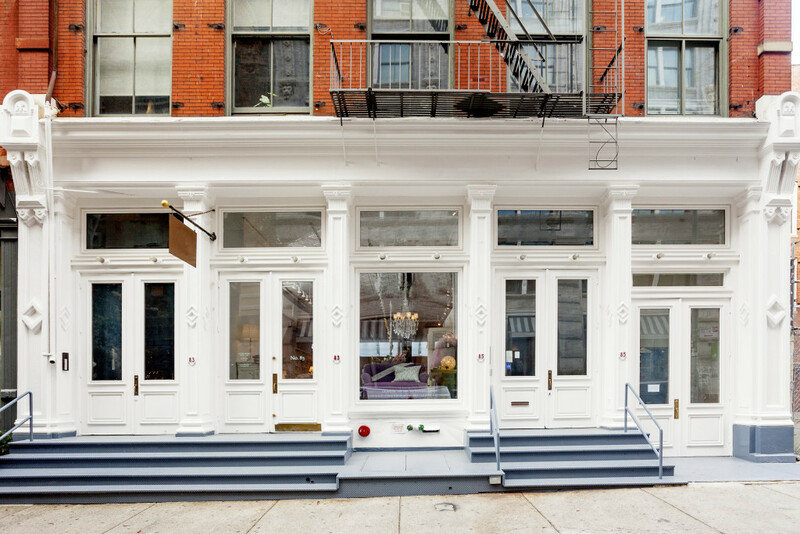 Bright, renovated store in the heart of Soho. Excellent visibility steps from Spring Street. Ideal for design and furniture. Approx. 40ft wide skylight. Oversized windows in rear. 14ft ceilings. Concrete floors. New tin ceilings on ground floor. Upgraded electric. Direct access to legal lower level with excellent storage and large windowed office. Neighbors include Chanel, Celine, Thakoon, Moschino, The Rug Company, Dwell Studio, and Byredo.